This waterfall isn’t the tallest, or biggest, but worth visiting for the fact that you can swim in it’s large blue lagoons and provides natural slides. 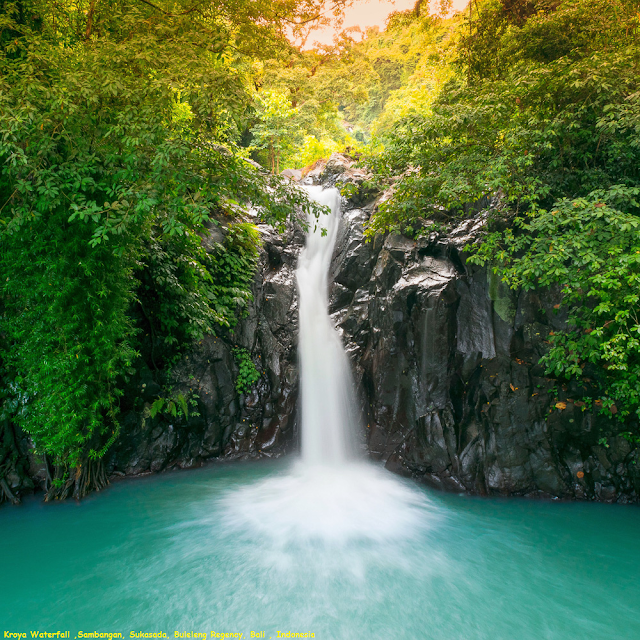 Kroya Waterfall is a beautiful waterfall featured by a nature waterslide located in Sambangan Village. The Kroya Waterfall Name is derived from the tropical tree of Kroya (Balinese Word) growth beside of waterfall. According to the local story, that it was big water flows happened and the flood hit the Kroya Tree into the bottom of lagoon without ever appearing on water surface. The visitor can do water sliding on this waterfall but safety equipment must be used and lead by professional guide.